When it comes to registering with companies, whether they be banks, retailers or something in the leisure industry, it can often feel like they’re doing you a favour by allowing you to be part of their world. Well, we don’t think this should be the case as it is the consumers that keep any company alive! This is why some industries have introduced sign-up bonuses, to reward people willing to come and give them the time of day. Plus, as more companies begin to realise the importance of patrons, we’re getting better sign up deals than ever. Today, we thought we’d take a look at a few examples of sign-up bonuses in different industries to show you how much you can benefit. First and foremost, we have to talk about credit cards. We all know there are quite a few different opinions when it comes to these nifty little tools, with some believing that they can lead to mass amounts of debt and others viewing them as credit score saviours. As long as you are responsible with your personal finances and know that you are reliable enough to pay your loan back every month, credit cards are without a doubt a great, useful tool. 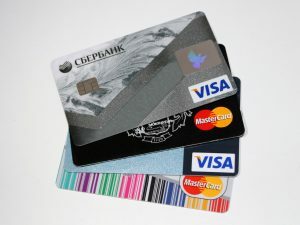 Of course, there are so many to choose from that it can be difficult to pick a specific card, and we all know you don’t want dozens of credit cards on the go at once. One way you can narrow down which credit card is best for you is to look at the sign-up bonuses each bank and company offers. If you have an impeccable credit score then you could be approved for some incredible sign-up bonuses that can range from $50 to $250, if not even more. That said, standard cards often come with their own welcome packages, so it is definitely worth comparing before committing. Like credit cards, debit cards and savings accounts often come with sign-up bonuses as well. Plus, while credit cards are a luxury, everyone needs at least a debit account to get through everyday life – especially if you need to build your credit rating to get a credit card at all. Fortunately, almost every bank offers bonuses on at least one kind of account as they want as many people as possible to choose them and remain loyal for as long as possible. There are quite literally hundreds of sign-up bonuses being offered by banks around the United States and the world at any given time, often including money, interest rates and even discounts at specific retailers. 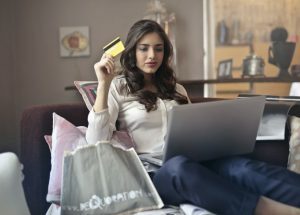 Checking all of these different bank offers can be tricky, but simply do your research or check a site like Wallet Hacks to see which offer works best for you. Now, let’s get into an industry that is a lot more fun than banking and credit scores: iGaming. Online casinos have thrived over the last few decades, becoming one of the most successful online industries of the 21stcentury and allowing players all over the world to come together and play their favourite games whenever and wherever they want. Like credit card companies and banks though, each individual business must put out competitive sign-up bonuses to beat the competition. So they should, as like our previous two examples, online casinos are dealing with your hard-earned money and valuable time. Before choosing any specific casino to commit to, do your research by visiting sites like Oddschecker, where welcome packages are compared fairly to ensure you get the best deal. These welcome packages could include anything from no-deposit bonuses to free spins and are always worth checking. There you have it: three examples of why sign-up bonuses are great for companies, and perhaps even better for consumers. Are there any other industries that have great sign-up bonuses? Are there any specific welcome packages out there at the moment we should be looking at? Let us know in the comments below.